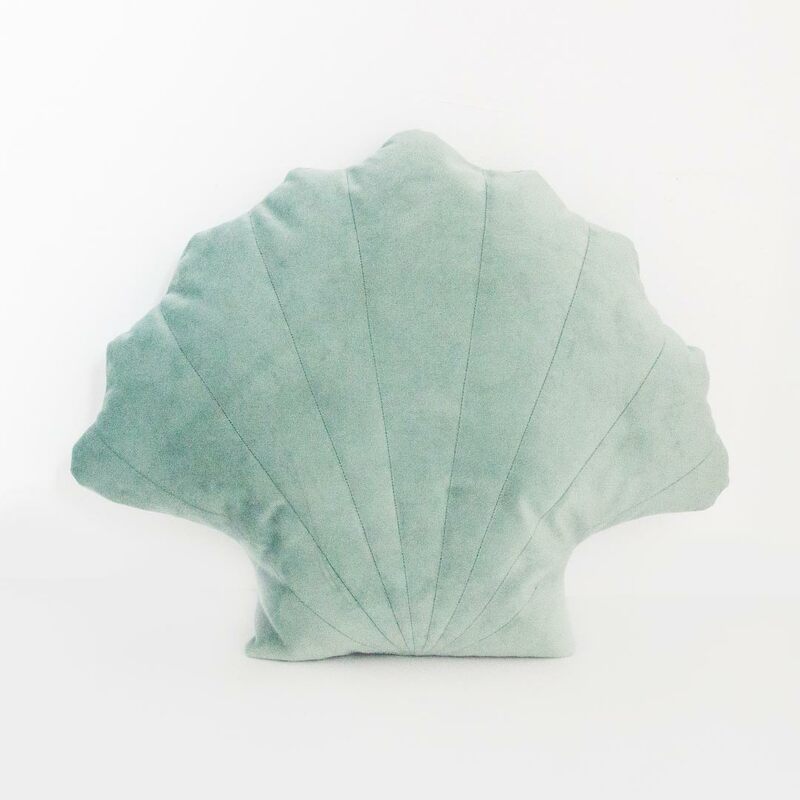 The seafoam velvet Clam Shell Scatter from the new Underwater collection by Bunni brings aquatic bliss right into your little one’s bedroom. The seafoam green clam-shaped scatter is handmade with love and care in South Africa. It has a gorgeous classic shape with embroidered lines, and its luxuriously soft velvet fabric makes it great for cuddling.